Hopefield Animal Sanctuary01277 201110work Animal SanctuaryHopefield Animal Sanctuary is a non-profit organisation that cares for and provides a home for life for over 500, unwanted and mistreated animals based in Brentwood Essex for 35 years. Hopefield care for a variety of animals including horses, donkeys, goats, sheep, pigs, chickens, alpacas, ducks, cats, raccoons and raccoon dogs, exotics, reptiles and small furries. We have a lovely tea room offering drinks, soups, sandwiches and cakes, as well as a small children 'little tykes' play area and various activities on our open days and events throughout the year. Our facilities are available to hire for childrens parties and private events. Our Sanctuary is supported by public donations and support from the team of volunteers and local businesses. 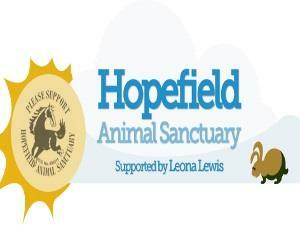 Hopefield Animal Sanctuary is a non-profit organisation that cares for and provides a home for life for over 500, unwanted and mistreated animals based in Brentwood Essex for 35 years. During winter we are not open 7 days a week, it is very much set open day events, please see our website for more information. During summer holidays we are open 7 days a week and the rest of the time we are open Friday to Monday.